The City of Vernon has identified TEMPORARY DOG USE AREAS at Marshall Fields. 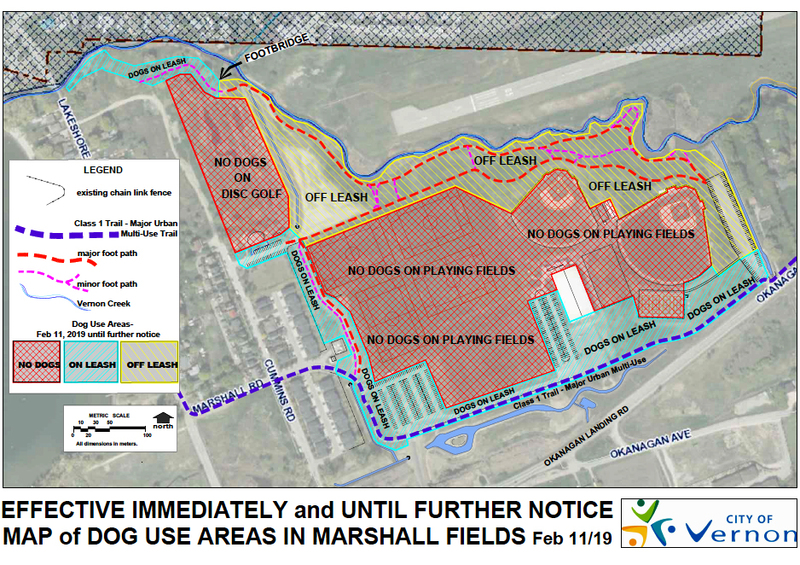 The City has committed to public engagement, an environmental assessment and an assessment of the amenities at Marshall Fields to identify options for consideration of an off leash dog area in Marshall Fields. Please send comments directly to the City of Vernon.